Allow me to start with how I fell into the depths of period drama addiction. Growing up, my dad would relive his younger days of reading wuxia novels by marathoning adaptations of HK serials. As his trusty sidekick, I was amazed by this fascinating world of swordplay and martial arts and my childhood heroes easily became the iconic characters created from Jin Yong's imagination. Back then, wuxia series were far from mainstream, yet my guilty pleasure grew far and wide, amassing a sizable collection of dramas that have become too many to count. Period dramas can be broadly classified into three categories even though most people usually lump everything historical under wuxia, myself included. Wuxia 武俠 is translated literally to martial hero with works of renowned authors Jin Yong and Gu Long almost synonymous to the genre, thereby sprouting an endless continuum of remakes and adaptations. The genre is particularly appealing to me because it is not as far-fetched as xianxia but rather its characters are often well-versed in the art of fighting because of their practice of 'chi', a word that will surely ring a bell if you like Asian-infused action flicks. 'Chi' or 'qi' means air but it essentially signifies the life force that allows practitioners to perform all sorts of incredible feats, albeit amplified to an exaggerated extent. As a result, it is not uncommon to see kung fu manuals, fighting stances and then some inner energy transfer to save a life. Chivalry is alive and kicking where people choose to live and die in the name of honor but I notice that this thinking is not restricted to wuxia but rather spans across most period dramas because apparently, people from the olden days are better versions of ourselves. For my first pick, I recommend Lang Ling Wang (2013) 蘭陵王 starring Feng Shao Feng (Ice Fantasy), Ariel Lin, Daniel Chan, George Hu and many more. Lan Ling Wang is a beautifully-packaged romance drama with noticeable modern influences that also incorporates the charms of an wuxia. I know that Lan Ling Wang is not exactly an wuxia in the truest sense and the comments against it are not unfounded, so I'm still in search for a newer better wuxia that could really serve as a nice introduction for anyone attempting the genre. But for now, it doesn't hurt that the Lan Ling Wang cast is made up of popular c-drama actors and actresses and the story highly addictive so I wasn't surprised that it was widely-exported after its initial release. I apologize in advance though as Lan Ling Wang is not without its hair-pulling moments especially towards the middle of the series. Nevertheless, it makes for a very enjoyable watch and I hope you like it. Xianxia 仙俠 is translated literally to immortal hero. It is a newer sub-genre that has been getting a lot of love mainly from younger fans. Since that's where you make the big bucks, production companies tend to make more and more such dramas that are also star-studded to boot. Xianxia can encompass anything supernatural with the latest trend being adaptations of role-playing video games and the sky's the limit in terms of subject matter that can include monsters, demons, fairies, magical realms, elixirs and what not. If the characters appear to fly in an wuxia, they literally fly in a xianxia. For my second pick, I recommend Chinese Paladin 1 (2005) 仙劍奇俠傳 starring Hu Ge, Crystal Liu, Ady An and Eddie Peng. It might be a bit older but it is the first of its kind and the best one in my opinion catapulting the up-and-coming newbies from yonder years to international fame. Until now, xianxia is not my preferred genre and I can't get over silly pet peeves like the characters being able to video chat via magical portals in a historical drama. However, I understand the innate appeal of an idol-cast so I continue to be hook, line and sinker'ed nonetheless, eagerly awaiting Chinese Paladin 5 like everyone else. Last but not the least is a made-up category that is just a catch-all for anything else. Off the top of my head are palace dramas, historical biopics and melodramas to name a few so for my third and final pick, I recommend Nirvana in Fire (2015) 瑯琊榜 starring Hu Ge and Liu Tao. 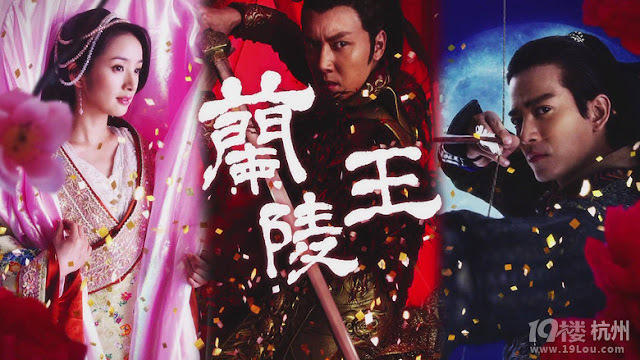 I was torn between Scarlet Heart versus Nirvana in Fire despite the two being so different that they shouldn't even be compared. What holds true is that both are extremely successful dramas and even though the former is more mainstream, I ultimately decided to go with Nirvana in Fire because it is too good to miss out. Nirvana in Fire is a massive 54-episode revenge drama that is a masterpiece of epic proportions so brilliantly written and thought-provoking. Lest I run out of adjectives, I will let the drama speak for itself so please, please check it out. 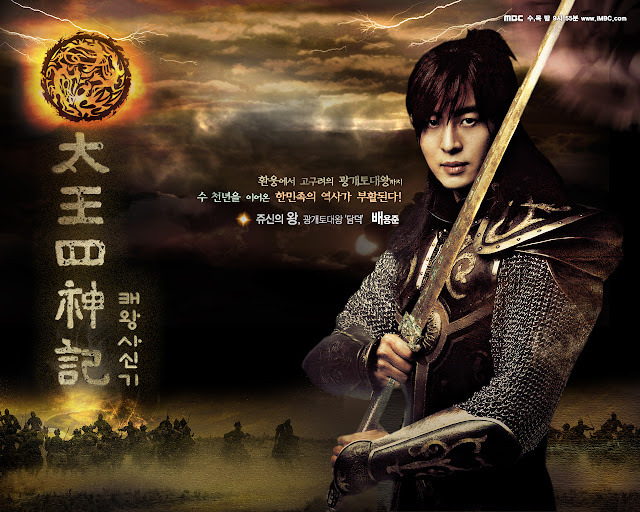 It might seem like I'm going off on a tangent but many years ago, my dad decided to buy DVDs to the 2007 k-drama called Story of the First King's Four Gods aka Legend starring Bae Yong Joon and Lee Ji Ah. I won't go needlessly wordy on this but it's safe to say that like a happy kid who found a neighboring candy store, I started venturing into Korean period dramas aka sageuk 史劇 and never looked back. Also see 10 signs you're a wuxia fan. I wouldnt recommend lan ling wang as an intro to wuxia though...it's not wuxia at all, more a palace drama with bucket loads of romance? I chose it mainly for its popularity. Figured lan ling wang could forcibly pass the criterias of martial arts? check. hero? check. Tho I know what u mean, a Louis Cha adaptation would've been a better representation of wuxia in the truest sense. I rather agree with Anonymous1 above. :-) Palace drama, political period drama, Minguo series, other period drama series are not really wuxia. They are period drama or costume drama. Doesn't wuxia generally discuss Sects/clans, good vs evil, chivalry, this and that skill/fist, the ultimate skill, yin yang energy, chi/qi, special kungfu manuals (9 yin, 9 yang, etc), blocking acupoint? I thought it's implicit that wuxia has to have the elements mentioned above, plus you have to have Shifu, Shixiong, Shijie, Shidi, or Shimei. More focus on the lead hero's advancing kungfu skills. :-D Scarlet Heart is really more of a idol drama set in the period setting. Similar to Lan Ling Wang, Fairy from Wonderland. For me, Nirvana is a lot better than Scarlet. Scarlet is rather Jane Austensy. Plus Nirvana has much stronger cast and direction. Just my 2 cents. I promise I'm not just blindly agreeing but agree with the second point as well about NIF being better than scarlet heart overall. Haha but I was thinking more of my friends who would never watch wuxia on what will entice them to switch to the genre which would be Jane austen and lan ling wang coz of the idols and romance. Unfortunately it seems like Mainland had been making better series outside of the traditional Wuxia genre lately. Which is actually a good thing. More diversity. I'm afraid my taste is too "out there" to be helpful to you. The last few more traditional Mainland wuxia series I liked were Tian Long Ba Bu (Hu Jun, Liu Tao version) and LOCH (Ariel Lin, Hu Ge version. I'm not fond of Yuan Hong's portrayal of Yang Kang though.) Both are older than Scarlet. I like 3 kingdoms (Chen Jianbin version), but it's not wuxia. 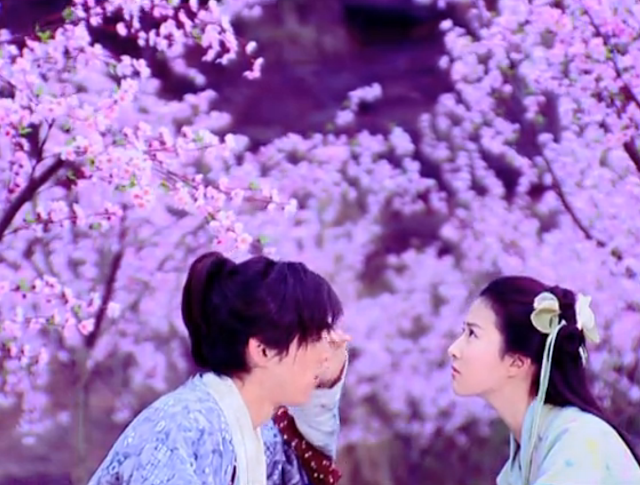 Actually, the Lang Ya Bang portion of Nirvana is wuxia-like, but that portion is under-represented in the TV version. For 2014-2016, some contemporary and period Mainland drama series had been reasonably good. 生活启示录, 长大, or the Minguo-era Wuxin FaShi. I have only seen the first part of "Addicted". So far it seems charming and poignant enough. Thanks for commenting:) A true wuxia would be Romance of the Condor Heroes which I actually enjoyed a lot but I know a lot of people hated so I didn't want to recommend as an introduction piece. Plus I know it had many flaws since I found myself skipping tons of side stories that felt more like fillers. I liked TLBB as well but I still like the TVB one better and yes both are quite old already. I keep hearing about Zhen Huan Zhuan though, might give it a try but it's a lot of hours isn't it. ZHZ's context is rather heavy. I had to take a break from the plotting and bickering in the middle of the series. But it's well-produced. Don't start watching near the busiest points of your life. ;-) Buried into the series, there's a subplot where Li Dongxue sacrifices everything for Sun Li. I'm guessing you should like that part. You are a different Anne than this Anne, right? ( http://annedarmawan.com/ ) I'm not sure if you live in multiple countries for your job or something. Lol at becoming totally allergic to Yu Zheng dramas and the cast. Gasp, does that mean you also have to avoid Wallace Huo and Yang Rong ? And yes, I meant exactly the Yu Mama Roch. I think my appreciation for it is a combination of sorts since roch is one of my all time favorites. i only haven't seen the version with Andy Lau but I plan to eventually. I also really liked chen xiao and michelle chen to begin with and having skipped all the parts that were just too cheesy, it was kind of a no brainer that i'd ended up enjoying it. As for swordsman, liked it as well but ultimately gave up halfway coz i was getting anxious that he was gonna ruin the drama and i didn't wanna see that. hi all where to watch all these period wuxia dramas? A little late, but just to add to this - I would recommend Return of the Condor Heroes (Liu Yi Fei and Huang Xiaoming). The CGI is a bit dated but the plot is good so it's truly worth watching. I also enjoyed Sword Stained with Royal Blood starring Dou Zhi Kong and Eva Huang. These are from the last decade but are much better in terms of wuxia. I suppose if you want something very recent, then Journey of the Flower is pretty good. Starring the amazing Wallace Huo, I was hooked! However, nowadays, it's hard to get a good action scene which isn't just a lot of CGI. There's definitely a dearth of good wuxia at the moment. Btw, I'm not the same person as the previous Anonymous. Thanks for the recommendation:) I have yet to watch Sword Stained with Royal Blood but agree with ROCH, I pretty much love all the adaptations of ROCH: 1995, 1998, 2006 as you mentioned and even the most recent one in 2015. In the 2015 ROCH I actually enjoyed the side stories more then I did of yang guo and long-er. I think that's the reason why they picked michelle chen as long-er, because everyone knows their story so as not to draw attention away from the other story lines who had way more beautiful actresses. I should probably state that I am not a michelle chen hater I actually enjoyed her a lot in the Legend of Qin drama series, but she's your everyday cute girl not what I would call an outer worldly beauty type. I usually don't enjoy li mu chou's story line but having Viann Zhang Xinyu who is super beautiful play as her got my attention. I also enjoyed how they had actual actors/actresses to portray long-er's master's and I definitely enjoyed their love side story too. I mean the actress that plays as Long-er's great master is also gorgeous too and I liked her in that one drama called my sassy wife something I think it was called. I also liked how they went into Ouyoung feng's love story too and it kinda makes you think he isn't that bad of a dude especially since in legend of the condor heroes he is portrayed as the ultimate bad guy. thanks for commenting. truly find it interesting to hear a different opinion. Most people including me don't seem to like the side stories but it really makes me think that a show, no matter how it is supposedly good or bad, just needs to find the right people who appreciate it. Though to that end, I actually liked Li Mo Chou's side story a lot, same as you, thought Viann Zhang was gorgeous and her acting is good too. I found a deeper appreciation for Li Mo Chou as a character especially since it was my first time learning about her backstory and I'm glad they decided to keep it in the show.